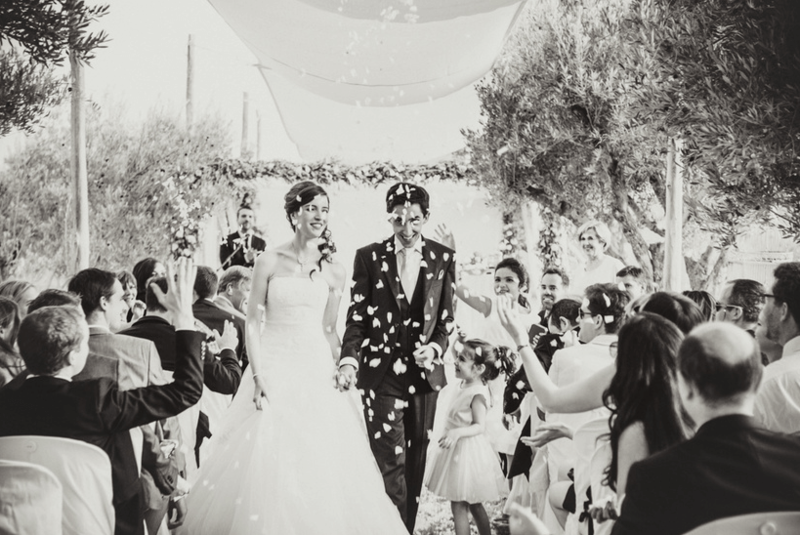 When Cécile and Housni, 2 young French lovers, met, one of their common will was to have a destination wedding Marrakech. 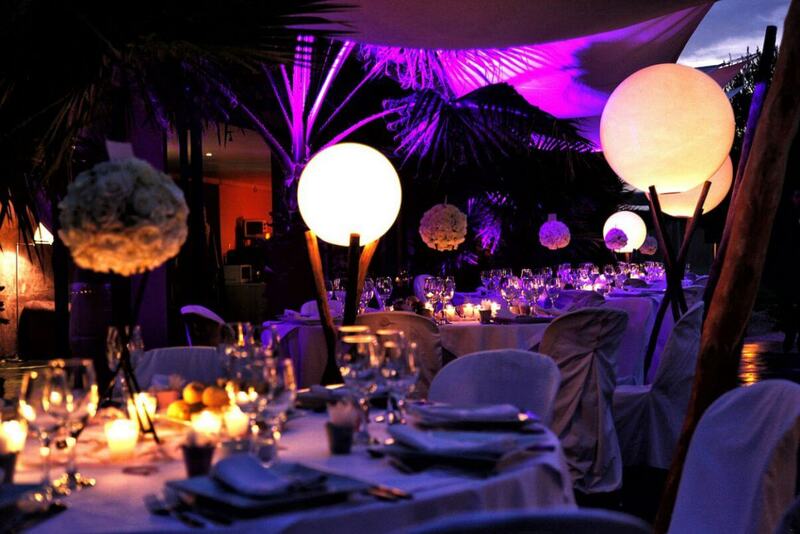 First of all, the choice of Villa Taj as a perfect destination wedding Marrakech went very quick. The contact with the owners and planners sharing time between Morocco, Paris and London has been great. Professional and easy understanding. Cécile and Housni gathered family and friends for a non-religious ceremony with all their friends coming one after the other to say a few words, sing a song. Causing laughs and tears during this one hour unique and emotional moment. The ceremony ended with berber drummers. Taking everybody for a drink and snacking on the rooftop terrace. Facing on one side the incredible bonsai style olive tree ending the 25 meters pool and on the other side the beautiful Atlas mountains, feeling like being in front of a cinema scenery. After a moment enjoying the sundown, drummers took all the guests downstairs to sit around nice and simple tables only decorated with white napkin and white bunch of big fresh white roses. While enjoying a dinner thought and prepared by the French Chef Damien Durand. Because he is THE best Marrakech recommendation. Definitely. In conclusion, after the wedding cake, everybody felt great to dance all night and made this moment unforgettable for everybody. International DJ Stan made that night incredible mixing all the songs Cécila and Housni wanted to hear the night of their wedding. But also feeling the atmosphere to exactly propose the right sounds at the right moment to make everybody, all generations and sensibilities happy. Finally it went great. 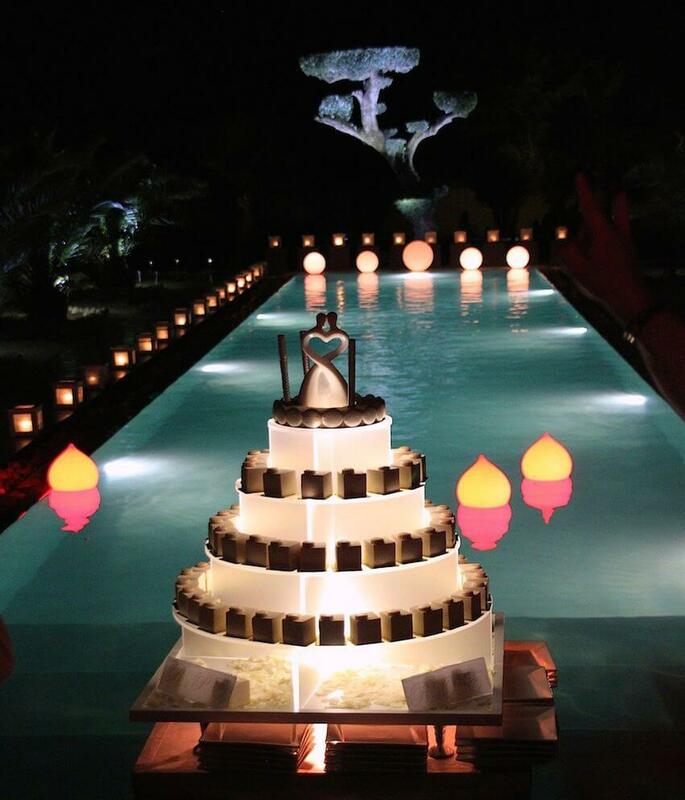 “Villa Taj is definitely the perfect destination wedding Marrakech venue.” That’s what we heard the most !